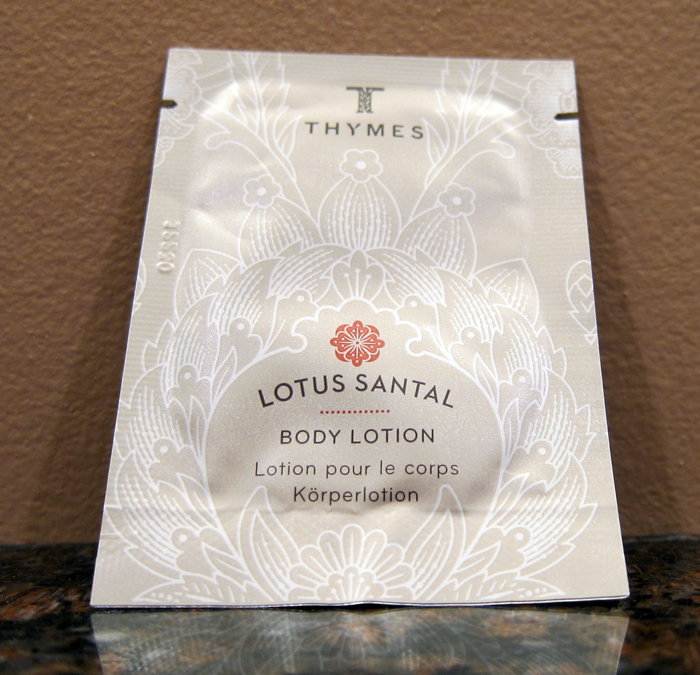 THE SKINNY: Thymes does make a nice, thick lotion, and this one was no exception. It handled my dry, chapped hands and kept them feeling moisturized for hours. But it only gets two stars because of the fragrance. Santal smells strongly like men's cologne. The scent lingered for what seemed like forever and overpowered everything else around it. The advertising calls is a "a lulling hush that smooths the rhythms of the day." I'd say it's anything but. Ladies, stick with the Naia Body Lotion. KEEP OR TOSS: Toss. My guy should smell like a guy. Not me. CHECK IT OUT: Learn more about the fragrances used in this lotion on the Thymes website.